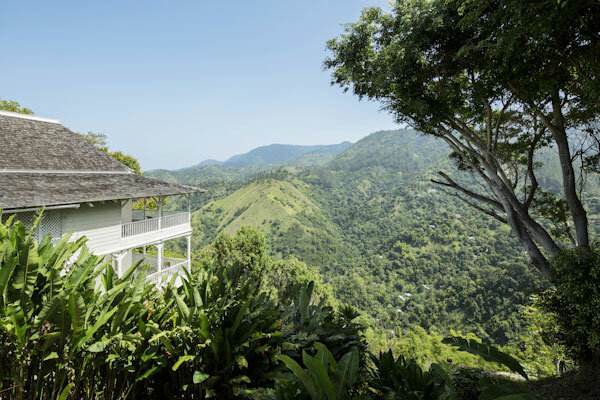 is located 3,000 feet above the Caribbean Sea. 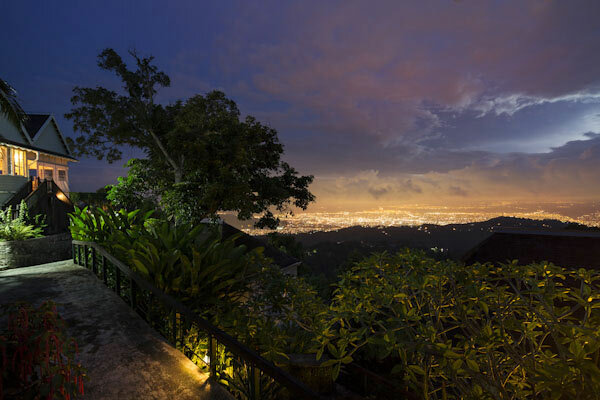 Listed in The New York Times #1 bestselling book 1,000 Places to See Before You Die, Strawberry Hill features awe–inspiring views of the mountains in one direction and the twinkling city of Kingston in the other. 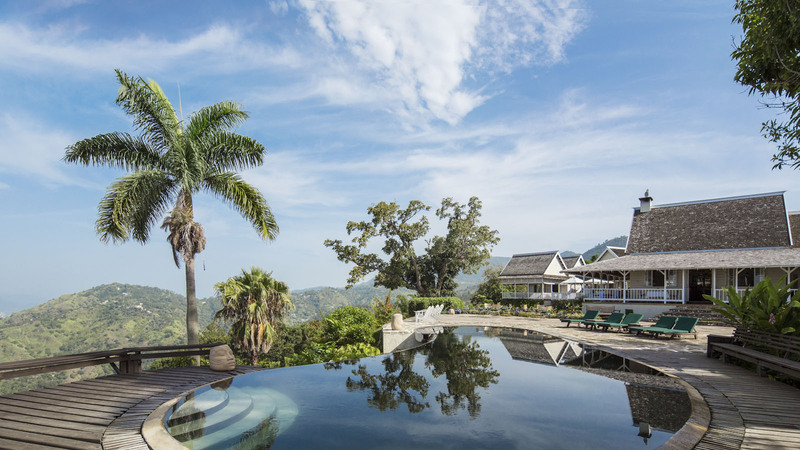 Strawberry Hill features 12 cottage accommodations, an infinity–edge pool, The Spa at Strawberry Hill, expansive botanical gardens, and world–class dining. Winding footpaths curve around the mountainside, uniting the cottages while maintaining privacy within the hills’ flanks. 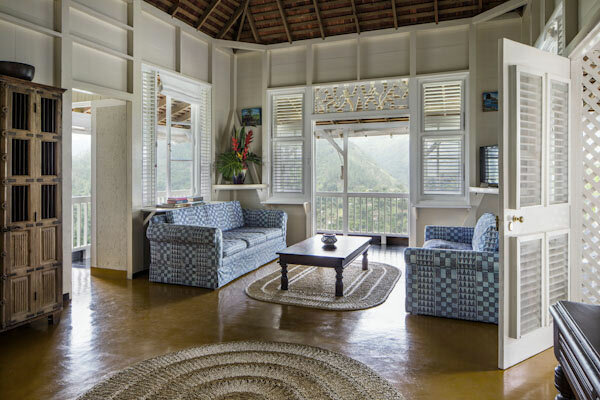 Each cottage surrounds you with nature’s spectacular views and lush gardens. Take advantage of the signature treatment - the Blue Mountain Elixir Body Scrub, utilizes local coffee beans, followed by a rejuvenating 60-minute deep tissue body massage and hydrotherapy session. 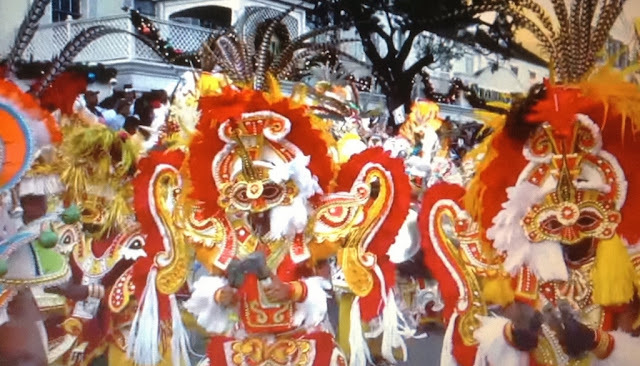 Strawberry Hill is a little over an hours drive from Kingston’s international airport. For a quicker route, the hotel has its own helicopter - call well in advance to make arrangements.